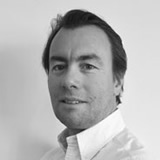 Pierre is the Managing Partner, CEO and founder of LCM Commodities. He is based in NYC. Before, Pierre was heading the sugar desk at Phibro and trading energy and metals at CPR Bank in Paris for five years. In addition, Pierre was an energy derivatives trader at Hess Energy Trading Company in New York and London and traded crude oil and products options at Credit Lyonnais Rouse in London. He is a graduate of HEC business school, Paris, France. Gael is a partner of LCM Commodities and Head of Crude and Products. He is based in NYC. Prior to joining LCMC, Gael started his career in commodities markets by launching the first commodities fund at Rothschild & Cie in Paris, France. 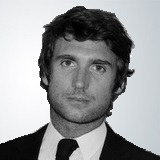 He is a graduate of the University of Paris II (Pantheon-Sorbonne), with a degree in Finance.